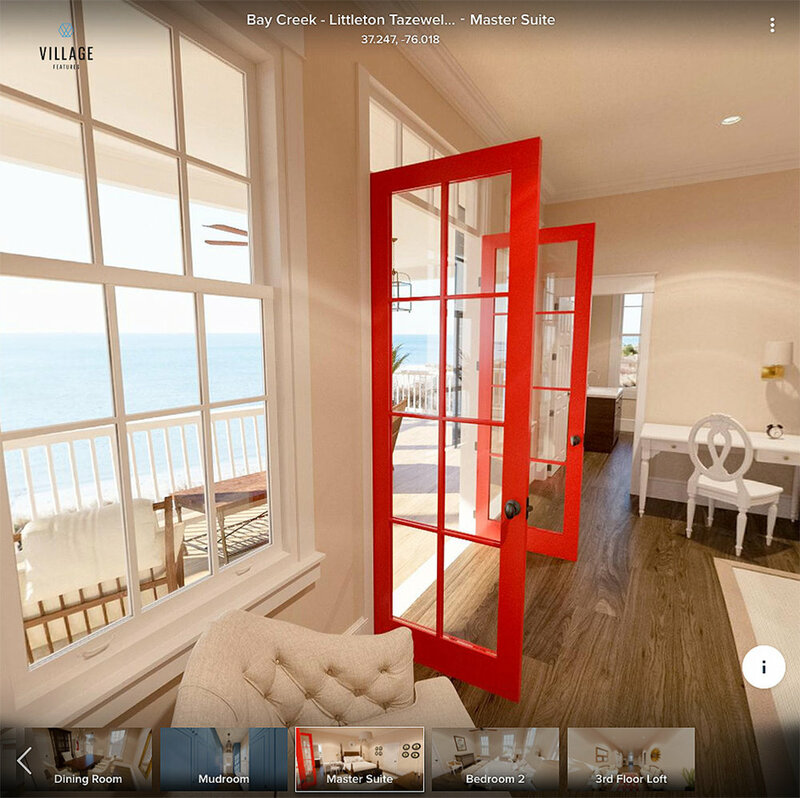 Bay Creek, a developer of luxury homes located in Cape Charles on the Chesapeake Bay in Virginia, engaged us to create virtual reality tours of four Southern Living Idea Homes. The virtual tours were used to promote and pre-sell luxury homes on coastal land owned by the company and priced from $500,000 to $2,000,000. Prospective homebuyers and investors also viewed the tours at conferences. 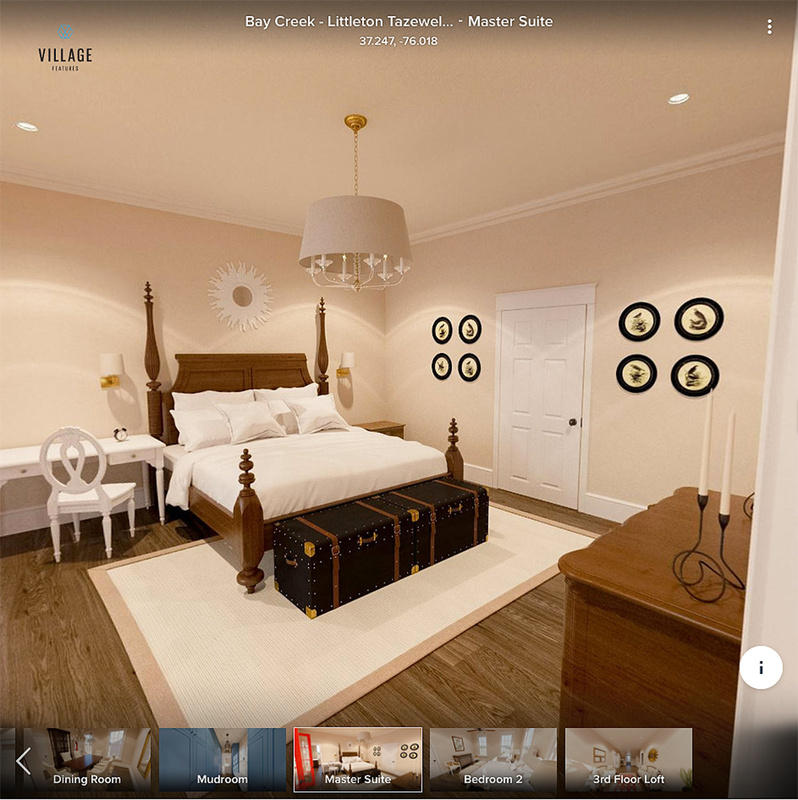 The virtual tours were well received, and the president of Bay Creek decided to make virtual reality an integral part of the company's ongoing marketing and sales initiatives.